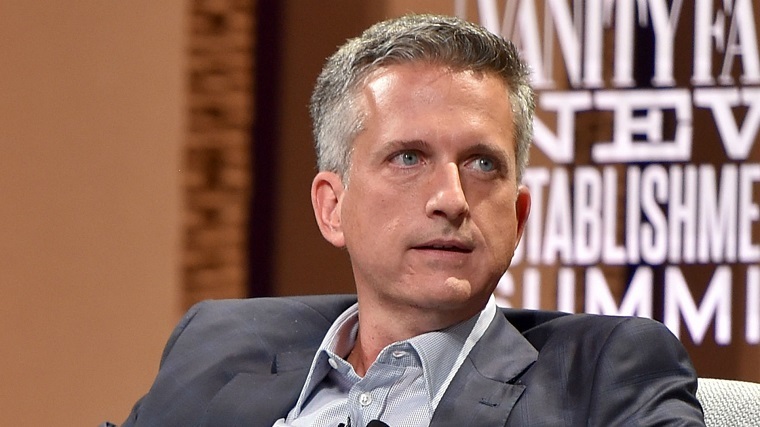 Bill Simmons is not leaving HBO any time soon. Bill Simmons’ two-plus year tenure at HBO hasn’t been as much of a success as many figured it would be, but that hasn’t stopped both parties from wanting to continue their agreement. On Tuesday, HBO and Simmons announced a contract extension for an unspecified period of time. Here’s what Simmons had to say about the new deal. The Hollywood Reporter noted that Simmons will focus on “creating and producing sports-themed content” at HBO (while also calling him “still the most prominent voice in sports journalism,” which is hilarious on multiple levels) while leaving the exact format of that content open, mentioning series, films, and documentaries. The Simmons Era at HBO has been something of a disaster so far. Just days after his weekly show Any Given Wednesday drew under 100,000 viewers for an episode in late October, the show was cancelled after just five months on the air. We criticized the show for being too-Boston focused and for being not nearly different enough from years upon years of Simmons columns and podcasts with ESPN and later, The Ringer. However, we did also note that the show was fun, for whatever that is worth. After the cancellation, we openly wondered whether or not Simmons’ deal with HBO could eventually end up rivaling Rick Reilly’s disastrous contract with ESPN. Simmons’ initial deal with HBO was for three years, and included 37 episodes of Any Given Wednesday, of which only 17 aired. Simmons later said he wished the show was monthly, instead of weekly. HBO also aired a Simmons/Ringer-backed Game of Thrones aftershow called After The Thrones, which was axed after just one season. The biggest highlight from his time with HBO has been the acclaimed Andre the Giant documentary, initially rumored in November of 2015. The first trailer for the Andre doc came last December, and anticipation grew for the film, culminating in numerous glowing reviews (including from us) following its April premiere. Simmons also produced a post-NBA Finals special for HBO called Courtside at the NBA Finals, but that feature didn’t gain much attention after the Finals ended in a sweep for the Warriors. Of course, because this extension was just announced,we don’t have much of an idea what it will entail. I would assume that films like the Andre the Giant documentary are what we’ll keep seeing from the HBO/Simmons partnership. At the end of last year, Simmons announced the formation of Ringer Films, which seems like it could be a spiritual successor for the Simmons-created 30 for 30 at ESPN. HBO would be a natural outlet for the content created by Ringer Films, and would also let Simmons focus on creating the type of content he enjoys creating instead of shoehorning his brand into a weekly show that just could not ever catch in.